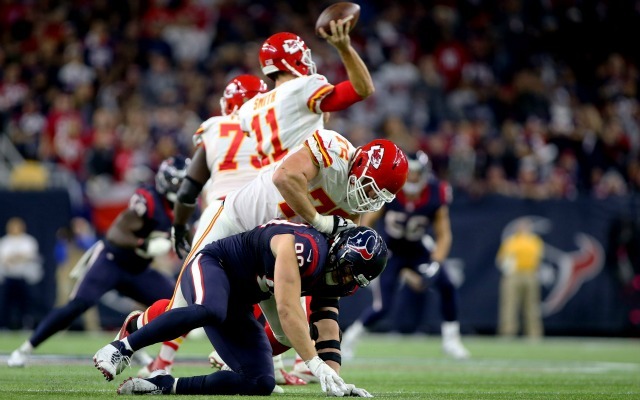 Most people consider J.J. Watt the best defensive player in football. He has back-to-back Defensive Player of the Year awards (and three in the last five years) to bolster the case. What most people did not know, before Thursday, was that Watt won the third of those DPOY awards while playing through a herniated disk and five fully or partially torn core muscles. "Last year was definitely by far the most strenuous on my body that I've ever had, fighting through a whole bunch of things that I've never dealt with before," Watt told SportsRadio 610, a CBS Sports Radio station. "We had the broken hand. I had a herniated disk in my back halfway through the year. I had, obviously, everything that went on with my groins and I don't think everyone fully understands what that process was like." So, not at all, basically. By the end of a season, Watt had five partially or fully torn muscles in his core area, necessitating surgical repair on both sides of his body. According to a source, Watt had partially torn left and right abdominals and a partially torn right adductor longus. He also had a fully torn left adductor longus and a fully torn left adductor pectineus, which are two of the three muscles that connect the pelvic bone to the left thigh bone. Some of those tears happened early in the season. Five torn muscles. Five of them. The man is a cyborg. Here's hoping he's back at full strength by the start of next season.